Freedom of Information Acts are important to parliamentary democracies, such as Australia, New Zealand, Ireland, the United Kingdom, and Canada because they allow governments to be more transparent with regard to their dealings with the public. In a recent study, researchers have ranked Canada last in its deployment of Freedom of Information laws, which is in direct contrast to Canada’s normally transparent FOI requests in the past. 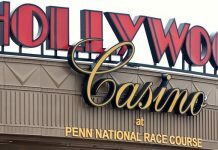 These allegations by researchers may have an extremely chilling effect on gambling and gambling revenue. While Canada enacted one of the first pieces of legislation for a Freedom of Information Act, the system of requesting government documents in Canada is now seen as old and out of date, which costs Canadian taxpayers time and money. The research done for the study noted several items that the Canadian government needs to address. First, the researchers noted that many people did not use the FOI to look for court decisions and proceedings or government documents. One of the reasons the researchers cited that people did not use the act to investigate the government, including gambling entities, is because it is nearly impossible to file an electronic claim or question. The system also does not allow for any monetary transactions for the information. You can only pay with a paper check. However, the vast majority of Canadian citizens do not do business with checks any longer because they consider them antiquated. The Canadian government still insists on paper checks only. rms of government transparency, allows its citizens to request FOI documents online and pay for them electronically. Depending on the time period and type of document requested, the U.S. government has documents available for immediate download, which the Canadian government is not able to do. In addition to the inability of Canada to move its documentation up to the 21st century in terms of availability of information, the country also lags behind on the length of time it takes for legislation to become available. In the early 2000s, it took the Canadian government about 30 days to fulfill 70 percent of the FOI requests. Now, however, it is taking the government far more time—a little more than 56 percent of requests were filled in 30 days or less. the problem is the government does not allow documents to pass through its storehouses without being heavily redacted. That means the information citizens were seeking is not usually present in the documents that are sent to them. This is after they have waited months for the information and paid by check. 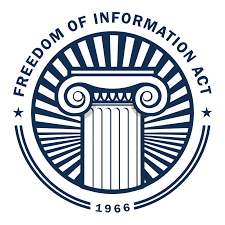 On the surface, the Freedom of Information Act seems to be an insignificant problem. 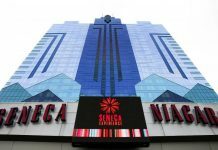 But, it is very important for casinos, horse tracks, First Nations casino properties, and other gaming institutions to know and understand the process by which gaming laws are passed in Canada. If the gaming industry does not understand how the regulatory process works, it cannot be sure it is following all the rules necessary to ensure compliance. The Canadian government is currently looking at ways to streamline the process for Canadian citizens to access government documents covered by the Freedom of Information Act, including allowing documents to be paid for and downloaded electronically. If the government can speed up the process, Canadian citizens and companies can guarantee they understand exactly how their government works.